FAQ: Is the DIY network channel the new face of the future? Is the DIY network channel the new face of the future? The emergence of DIY 'do-it-yourself' products (like our window blind & shade motors) is a natural response to the high public demand for goods that can help save money. Our radio equipped motors use radio frequencies for controlling blind and shade motors. The remote controls for these units work with the radio equipped motors and can control other things such as room lighting and air circulation fans. There are 2 advantages of our radio motors: cost and simplicity. 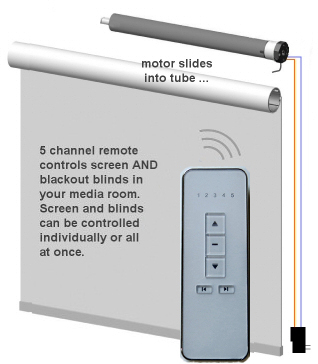 You can start with a very basic window blind kit to control blinds by RF remote, then add some modules for LED room lighting and other things such as fans.